Cleer is an ambitious manufacturer of personal audio products that makes a point of keeping a finger on the pulse of contemporary mass-market trends. In practice, this means the firm presently offers two in-ear headphones (complete with various combinations of noise cancelling, wireless, and heart-rate monitoring features) and six full-size headphones (offering various combinations of wireless, noise cancelling, and DJ-orientated features). Cleer also has a new portable Bluetooth speaker called the Stage, plus a range of trend-conscious new products in the pipeline including an Alexa Voice Service-compatible earphone called the Ally and an also Alexa Voice Service- compatible Bluetooth speaker called the Space. Finally, Cleer has an all-in-one Virtual Reality headset called the Vista in the works. It’s quite the list, isn’t it? Clearly (sorry, I just couldn’t help myself there) the scope of Cleer’s product range is impressive, but even so I suspect dyed-in-the-wool audiophiles will be apt to say, “These high-tech, features laden devices are all well and good, but does Cleer build a model specifically for us?” Happily, the answer to that question is a resounding “Yes” and it comes in the form of the firm’s long awaited and recently released NEXT headphone, which is explicitly targeted towards the audiophile community. The NEXT signals the fact that it is a headphone to be taken seriously in several ways, perhaps the most obvious of which involves its extremely handsome, high-tech industrial design, which was created by Designworks (a BMW Group company). Cleer says the NEXT’s design motif is meant to “evoke the feelings of a favourite timepiece”, so that ideally it will “be considered delightfully exquisite, intimately personal, and intended for decades of enjoyment”. With these objectives in mind the open-back and dynamic driver- equipped NEXT headphone sports a frame, swivelling ear cup yokes, and ear cup housings machined from 6061-T6 aluminium. The aluminium parts are all treated to a pleasing, satin-textured, bronze-coloured anodised finish. The rear sides of the ear cup housings feature black mesh grilles. Completing the picture are a thick leather headband pad, a set of thick leather-clad bevelled ear pads, and—on the underside of the left and right ear cup housings—there are recessed sockets for the headphone’s LEMO®-type signal cable connectors. Overall, the NEXT looks and feels more expensive than it actually is. In fact, a brochure that comes with the NEXT presents a graph that shows Cleer’s ironless magnetic driver consistently delivers lower distortion than would a comparable driver fitted with conventional magnets. For example, the graph shows that the NEXT driver’s distortion levels hover between about 0.1 – 0.3% all the way from 20Hz up to 20kHz and at 100dB playback levels. By comparison, a similar driver using conventional magnets shows much higher distortion: about 0.5 – 0.6% at many points between 20Hz and 20kHz with, in the worst case, distortion rising to over 2% in the critical upper midrange (around 7kHz). Evidently, Cleer is on to something good with its ironless driver design. The NEXT comes in an attractive presentation-style box and ships with a 1.5 metre, four-conductor signal cable terminated with a gold-plated 3.5mm mini plug on the amplifier end and a left/right set of LEMO-type connectors on the headphone end. The headphones also come with a gold- plated 3.5m to 6.35mm headphone plug adapter, plus a two-chamber leatherette carry pouch (one chamber is for the signal cables and the other for the headphones). It can give good results whether driven by a tablet, a DAP, or anything on up to a high-quality desktop headphone amp/DAC. ► feeding a Chord Hugo 2 DAC, which in turn fed a superb Cayin HA-300 valve-powered headphone amplifier. For comparison purposes I had on hand headphones from HiFiMAN (the Sundara) and from MrSpeakers (both the open and closed-back versions of the AEON Flow). I discovered the NEXT was much easier to drive to satisfying volume levels than its specified 92dB sensitivity rating might suggest. For example, the NEXT performed quite satisfactorily when driven by my iPad Air—a device that, let’s face it, doesn’t have a surplus of power. Similarly, the NEXT sounded full­bodied and dynamically alive when powered by the three DAPs I had on hand and it did so without requiring any of the DAPs to have their ‘high gain’ settings switched on. My point is that the NEXT is truly versatile; it can give good results whether driven by a tablet, a DAP, or anything on up to a high-quality desktop headphone amp/DAC combo. As it turns out, the sonic character of the NEXT is neatly summarized by its manufacturers’ name, meaning the headphone conveys an overarching sonic quality of clarity and detail. From a musical perspective, this means the NEXT is an extremely informative headphone. It reveals small textural and transient details in recordings in a vivid and explicit way while also offering impressive articulation and vocal intelligibility. If you listen to pop music recordings where intensely modulated vocals can overlap one another in momentarily confusing ways, for example ‘Poison and Wine’ from The Civil Wars’ Barton Hollow [Sensibility, 16/44.1], the NEXT helps clarify the picture, deftly teasing out the words and phrases being sung. Similarly, if you enjoy listening to ensemble pieces where multiple instrumental musical lines are intricately interwoven, the NEXT makes it easy to pick out individual musical threads and to follow them to your heart’s content. The same holds true for spatial cues in the music and for the upper harmonics that help define the timbres of instruments and voices; in both cases the NEXT’s consistently presents a harmonically rich and spacious sound that typically extends well beyond the confines of the listener’s head. What gives the NEXT this quality of clarity? I suspect the answer goes straight back to the Cleer driver’s well-damped magnesium diaphragm and to its low distortion ironless motor magnets. 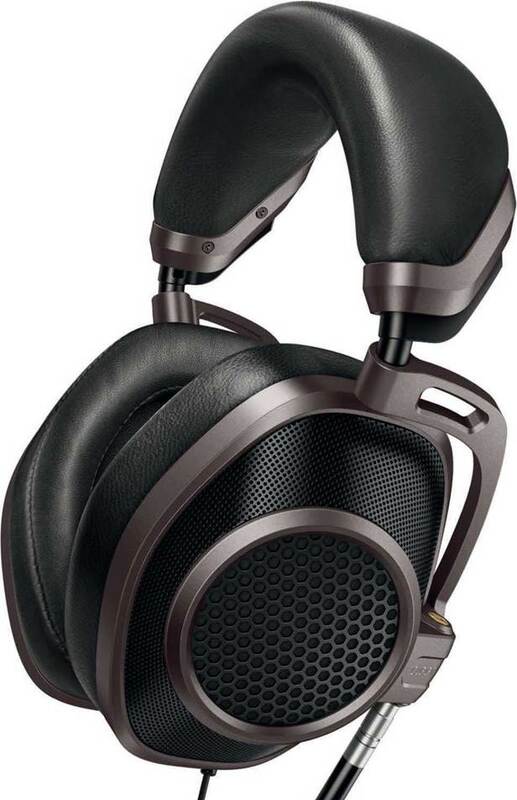 The result is a dynamic driver- equipped headphone competitive with, and – in some instances – superior to, comparably priced planar magnetic headphones when it comes to transient speed, detail, and resolution. Are there downsides to the NEXT’s clarity and definition? Perhaps. On the one hand the NEXT is so musically informative that you can’t help but admire it. On the other hand, on recordings with hard, sharp transient sounds (e.g., the closely mic’d sounds of picks raking across guitar strings), the NEXT sometimes renders those sounds with a bit more hardness and sharper edges than is appropriate. Similarly on compressed or overly bright-sounding albums, the NEXT can make already brash-sounding recordings sound even more rough-edged than they normally would. This may, however, be a simple case of musical trade offs where the very qualities that make the NEXT desirable also make it a little unforgiving. The tonal balance of the NEXT is for the most part neutral, with beautifully controlled and deeply extended bass, open sounding mids, and revealing highs, but with a mild tendency toward upper midrange forwardness. For bass connoisseurs, the NEXT can be especially satisfying. Listen to the low percussion found on ‘Rites’, which is an excerpt from “Glimpses of Tibet” [10th Anniversary of Rhymoi: 2003-2013, Rhymoi Music, 16/44.1] and you’ll find the NEXT can play loud and low, while maintaining excellent pitch definition and control. Ergonomically, the NEXT is easy to fit and comfortable to wear, though I would encourage Cleer to consider offering ear pads with fabric touch surfaces to help wick away perspiration. In day-to-day use, the well made NEXT is a joy to handle. The NEXT is a fine first audiophile-grade headphone from Cleer. Stated simply, the headphone’s clarity, expressiveness, and control are music gifts that keep on giving.